Being comfy and cozy is my absolute favorite thing. I love to change as soon as I get home from work and relax with a warm blanket and soft sweatshirt. A lot of you can probably relate to this, and I bet that the people on your Christmas present list can too. This gift guide has everything from blankets to slippers that the cozy gal in your life is sure to love! As always, you can on click each item to shop or shop the links below the guide. Sherpa Moto Jacket– Chic and cozy? Sign me up! Not only will this jacket keep you warm, it’s also right on trend for the season. Ugg Dakota Slippers– You probably remember Uggs from your middle school days, but they are back and better than ever. Ugg slippers keep your feet nice and warm either inside or outside. Aerie Plush Joggers– Joggers are my favorite lounge pants! A happy medium between leggings and sweatpants, joggers are the perfect pants to wear on a lazy day. Free People Beaux Footbed-How fun are these?! Furry slipper sandals. They come in four colors too! Wubby Fleece Pullover– The fleece you’ve seen everywhere and definitely need. Get your cozy gal this pullover and she’ll thank you for sure. Might be Bubbly Mug– Who hasn’t had champagne in their coffee mug before?! This is adorable for hot chocolate or tea while you’re relaxing. Pom Pom Throw– Pom pom throws add some texture to your couch and are useful too. I love draping mine over a couch or chair to add a bit more color in our living room. Cotton Luster Velvet Pillow– The best pillows ever! I have these on my bed and have gotten so many compliments. They come in a few colors, but this blush is absolutely perfect. Faux Fur Pom Beanie– It’ll be snowing before we know it, so this beanie is practical and cute! You also cannot beat the price point. Pom Pom Pullover– Obsessed with this. I just think it’s such a fun sweater that can be worn even after the holidays! It goes with so many different outfits, and your cozy gal will love it. 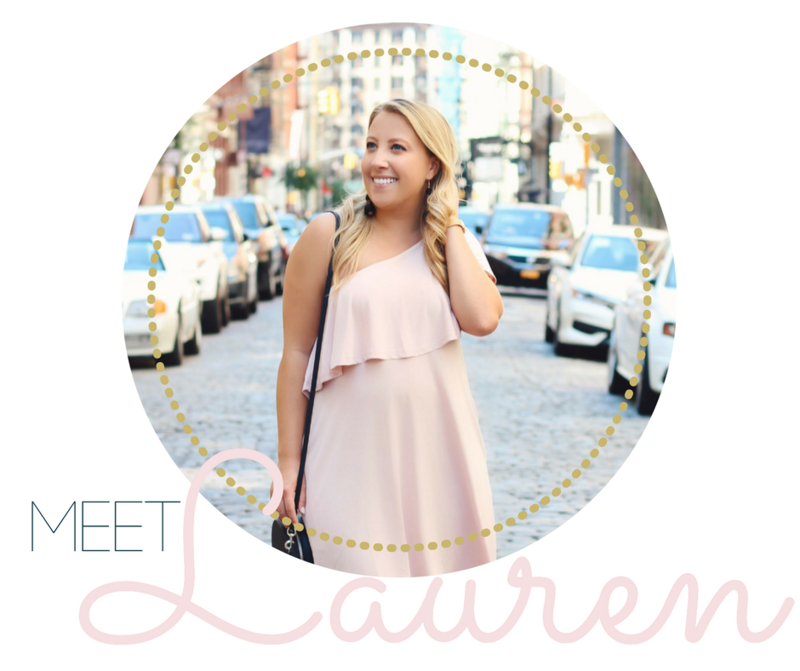 Also, be sure to check out my Gift Guide for the Hostess! 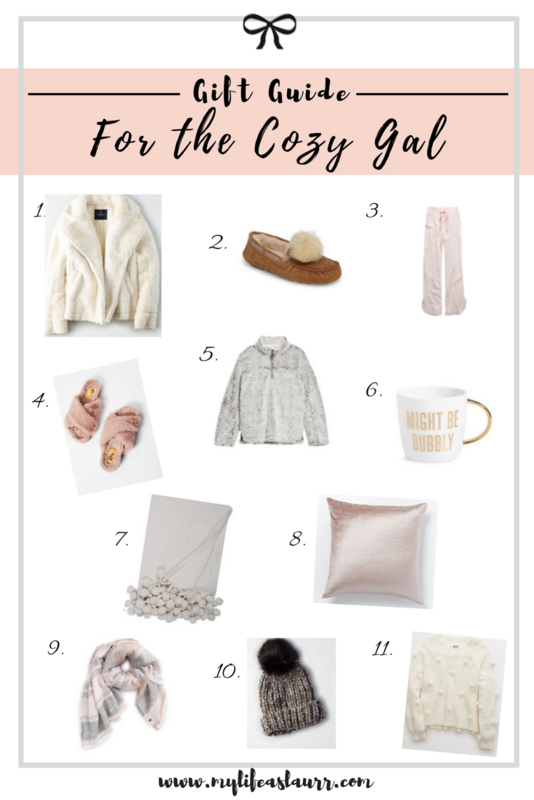 I’m definitely a cozy gal because I love all of these! Love me a good cozy list. This is PERFECT babe! I love all these stuff too! 🙂 Great choice! This is the coziest + chic gift guide I’ve ever seen. I actually want everything on this list! Those UGGS! Loving all these cozy items!! these are such great gifts! so cute! I’m the same way 🙂 I want it all lol! I do the exact same thing when I get home from work! There is nothing better! I NEED that moto jacket!!! So cute! That pom pom pullover is so darling and I love those tan slippers! SO MANY CUTE COZY THINGS! I have those Ugg slippers they’re the BEST! Great picks, friend! Love the fleece pullover! I have it on my wishlist! Literally the perfect gift guide for myself! Ok, I’ll totally take one of everything on this list!! Lol great picks, girl! so many fabulous gift ideas! We love them all!!! !